Does the world seem to be getting over saturated with screen-based UIs? Should we attempt GUI solutions, such as apps, for every tiny little problem that exists? Do UIs sometimes throw users out of their real-world context? Could sometimes the best UI be no UI? 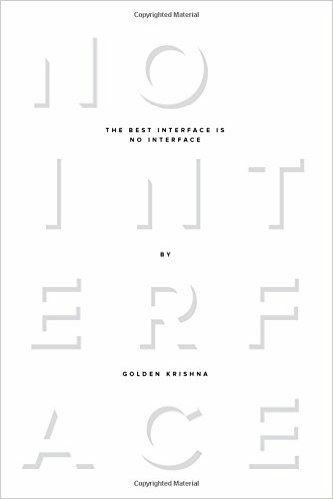 If any of this resonates with or interests you, please come join us to discuss Golden Krishna's recent book, "The Best Interface is No Interface."